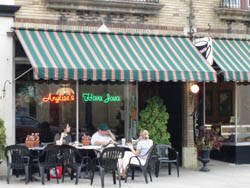 Hava Java Cafe at 526 North 19th Street in Allentown, PA 18014 will be hosting Open Mic every Monday and Thursday nights from 7 PM until 11 PM. Please don’t bring outside food and beverages, there is plenty waiting for you right here. We request a $2 entrance fee, and we ask a $3 minimum purchase from the venue. Souvenirs from the House of Landolfi will be given away.